China's county-level hospitals and community healthcare centres offer huge opportunities for multinational and local pharmaceutical companies, said a report released on Wednesday. Conducted this year by global management and business strategy advisory firm Boston Consulting Group, the study was based on more than 60 in-person interviews and 900 detailed surveys provided by hospital heads, physicians and patients around China. According to the report, with their huge base of potential patients and rapid growth, China's 10,000 county-level hospitals hold the greatest potential for pharmaceutical companies. Covering more than 2,000 lower-tier cities and counties, these hospitals are becoming an increasingly important channel for rural patients to receive preliminary diagnoses and maintenance therapy. Doctors in these hospitals play key roles when it comes to drug-of-treatment decisions for some diseases, and also given that more than 80 percent of patients renew their prescriptions in county-level hospitals. 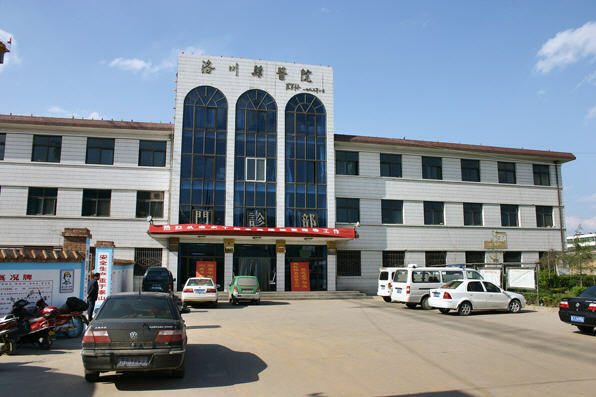 However, the county-level hospital market has long been the turf of local Chinese drug makers. "To succeed, multinational companies will need a broad range of products that can be tailored to local markets, with a special focus on low-price generics and mature products," said Chun Wu, partner and managing director of BCG Greater China. Segmenting the different markets can also boost margins, she said, adding that hospitals in the larger counties treat far more patients, and sell two to four times more medicines than hospitals in less developed areas. Regarding community healthcare centers, China's market is small so far, but it holds considerable potential because these facilities are treating an increasing number of patients with chronic diseases such as diabetes and hypertension, said Magen Xia, principal of BCG Greater China. Sales of drugs for chronic illnesses in these centers are currently as much as a quarter less than in city hospitals, but are growing fast. The centers and doctors there are playing an increasingly important role when it comes to in-patient care. Instead of just refilling prescriptions, doctors in community healthcare centers are also making some initial diagnoses, participating in disease management, and influencing the brand chosen for drug treatment and decisions to change drugs. According to the report, more hypertension patients switched from local to multinational brands in the 30 richest cities in China. "The sheer size and fragmentation of this market is the hurdle that pharmaceutical companies face; while the evolving drug policies are another challenge," said Xia. Many of these challenges, such as the mandatory inclusion of the drugs in the government's Essential Drug List, zero mark-up requirements and policies that result in insufficient government subsidies, lack consistency or are impossible to fully implement. As a result, drugs not on the government's Essential Drug List are expected to account for a significant portion of the market in community healthcare centers until 2015, said the report. The national Essential Drug List is expected to be expanded by the end of this year or early next year. To succeed, companies must identify their key advantages, including scale, manufacturing capability and quality, and actively influence and shape China's Essential Drug List policies in key provinces to favor those advantages. "It is also important to prioritize the target provinces, taking a pass on those where coverage is minimal or relationships are lacking," said Wu.